Expertise – The qualified contractors at Prestige Construction LLC have years of experience in bathroom remodeling. Prestige Construction LLC strives to transform your functional space into a comfortable oasis. From main floor powder rooms to master suite baths, Prestige Construction LLC works with homeowners to combine purpose and beauty to create the perfect bathroom. Quality Materials – Durability is of utmost importance in the bathroom. Prestige Construction LLC works with top quality materials and uses the best installation methods to ensure every feature of your new bath is built to last. From the flooring to lighting and plumbing, Prestige Construction LLC provides superior products for your bathroom remodeling. Reasonable Prices – Bathroom renovations completed by a professional contractor increase the value of your home and improve daily life. 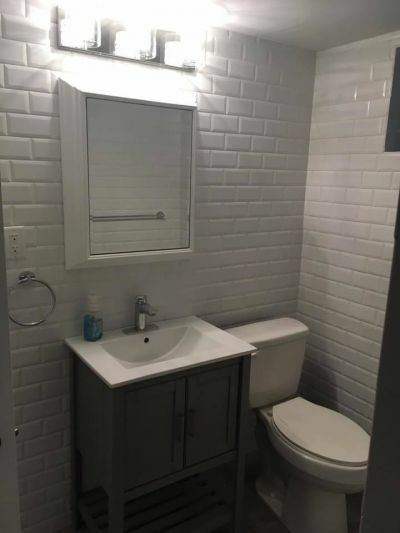 Prestige Construction LLC helps homeowners by offering affordable bathroom remodeling that balances efficient design with premium materials to ensure you get the greatest return from your home improvement investment. Spend your money wisely by trusting Prestige Construction LLC with your bathroom renovation. Rely on Prestige Construction LLC for your bathroom remodeling project. They have years of expertise to guide you and offer the quality materials and reasonable prices you deserve. Call Prestige Construction LLC today at (219) 213-6336 for a no obligation quote on this valuable home renovation project.